The Congress had on Friday sought an investigation by the Lokpal into a report that alleged bribes of Rs 1,800 crore were paid to Bharatiya Janata Party's (BJP) top brass by Mr Yeddyurappa. The allegation was based on photocopies of BSY's purported diary which was submitted to the Income Tax department on Saturday but was dismissed as a "forgery document" and a "set of loose papers". "There is a statement by the income tax that the diary is a forgery document. It is now proved that the Congress has failed miserably in its attempt to malign our party leaders'' image," BJP spokesperson and MLA S Suresh Kumar told a press conference. "Since it is evident that Surjewala used forgery document, he should be immediately arrested for spreading baseless allegations," he added. The BJP's Karnataka unit, said Mr Kumar, has consulted the party central leadership and soon a police complaint would be lodged against Mr Surjewala demanding his arrest. "Since the Income Tax has called it a forgery document, we urge the Election Commission (ECI) not to allow anyone make use of the so-called diary as part of election campaigning," the BJP spokesperson said. Mr Kumar also demanded that Congress president Rahul Gandhi should apologise for his tweet accusing all BJP leaders of being "corrupt", citing the a report by the Caravan magazine. "The enthusiasm with which he tweeted to malign Yeddyurappa's image, he should use the same medium to seek an apology," Mr Kumar demanded. 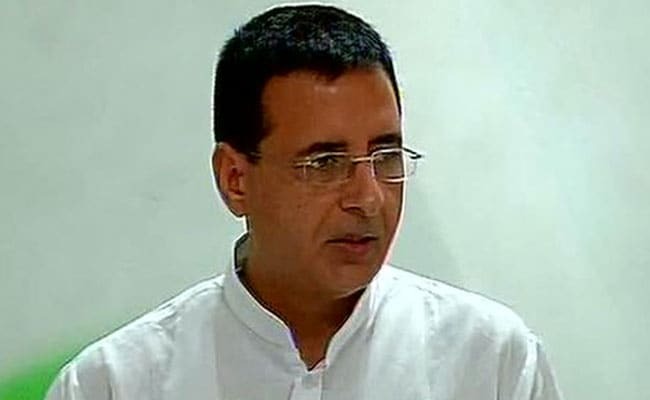 Mr Surjewala had said that Prime Minister Narendra Modi should come forward and clarify whether bribes were taken by the top BJP leaders as mentioned in the diary. The BJP denied the charges and party chief Amit Shah said that after all the "fake issues" had collapsed, the Congress was desperately relying on forgery. Mr Yeddyurappa too dismissed the charges as "atrocious and malicious."